Charge yourself and your house with the energy of the Aquarius! 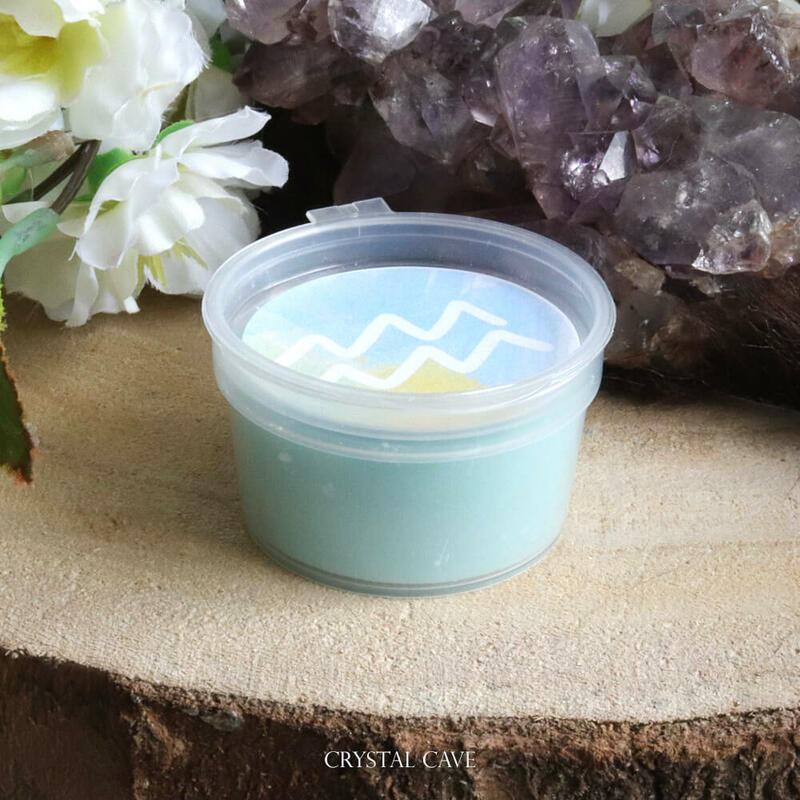 The smells in this wax melt are attuned to the aquarius and the season. As a fragrance, the aquarius is invigorating and refreshing, with a little touch of sweets. This wax melt scents are: Ylang Ylang, Lime and Lavender. Place the contents of the whole cup in a wax melt burner or break it off. 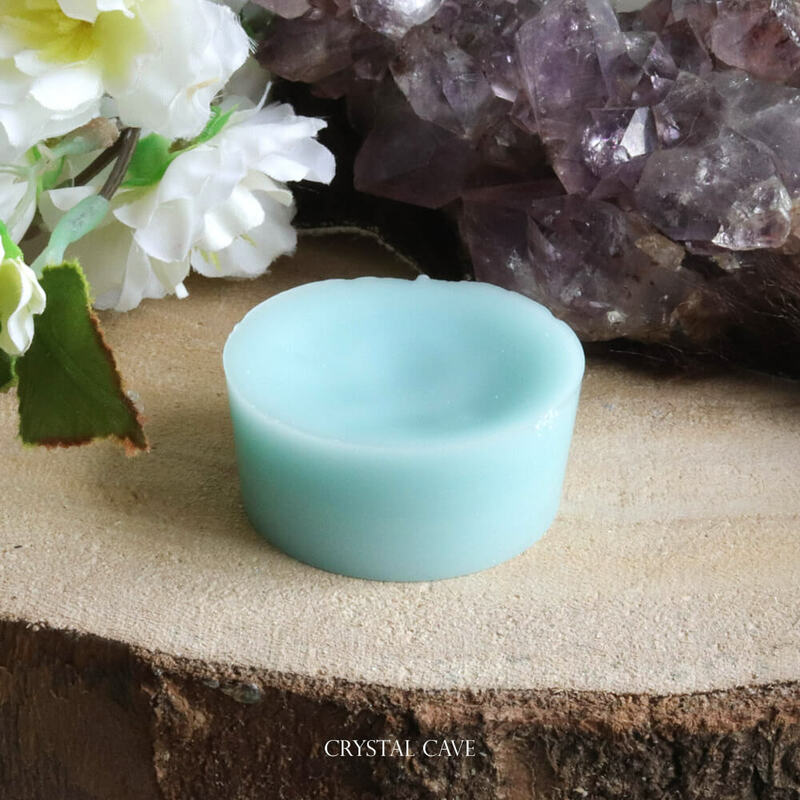 Within a few seconds the wax melt will melt and will spread a lovely scent throughout the house! Aquarius characteristics: friendly, loyal, honest, original, inventive and independent. 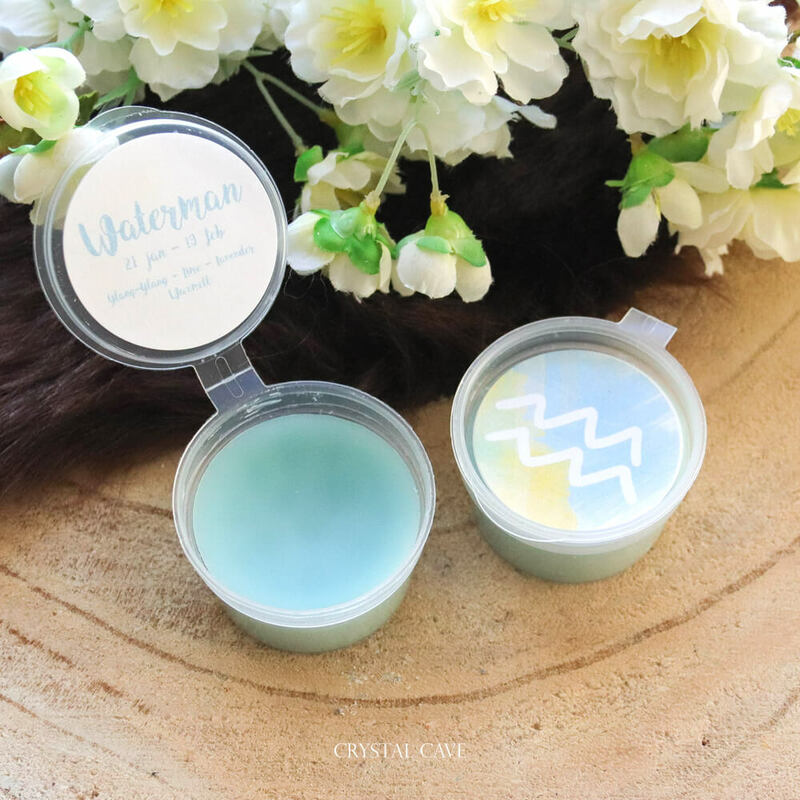 You will receive a small version of this wax melt in the Aquarius Giftbox! Because all our Wax melts are handmade, some melts may differ from the picture above.